Ms Beatty recieves her MBE - Latest News - Whitefield School - Live, Learn, Aspire, Achive. 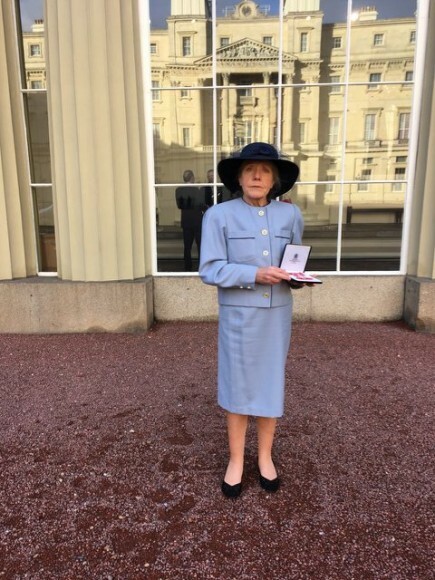 Just before Christmas Ms Beatty made her way to Buckingham Palace where she waited to receive her MBE, she asked her sister and dear friend and Sixth Form colleague Ms Fielding to accompany her. It was Prince Charles that was handed the honour of presenting the MBE's on that day. He made the time to have a talk with Ms Beatty about the importance of Apprenticeships for our students and trade opportunities. She had a wonderful day.